Flourish Dual Vine - HEY JULES! 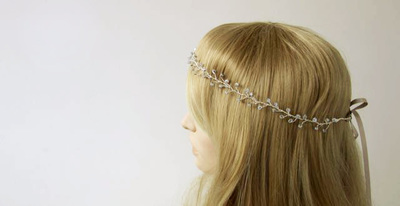 This is a dual strand headpiece creating a bit of interest and a more intricate design than the single vines. Beautiful worn as a forehead band, and also as a head band/wrap. You can chose how much distance there is between the 2 strands. 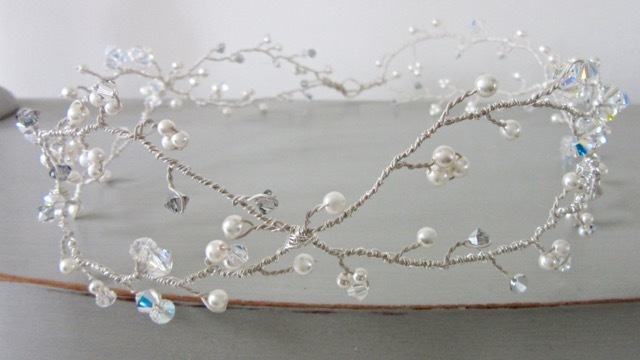 This looks amazing on brunettes as the wire blends in and you are left with a scattering of crystals and pearls. 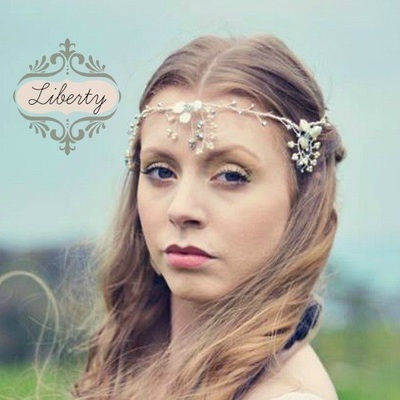 This also works well on blonde hair especially for 'natural' or 'rustic' styled weddings. This piece is lovely for a more festive Autumn/Winter wedding, but equally as fitting for a Spring -Summer wedding. 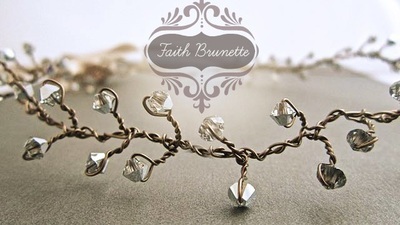 This is available in the brunette wire shown, and in silver or gold plated wire. If you prefer to have the 'vine' part showing, opt for a silver or gold plated wire. DIMENSIONS – The design as it stands measures 54cm long by 6cm wide. Designed to fit around the circumference of the head, and pinned, tied or hooked together in place.